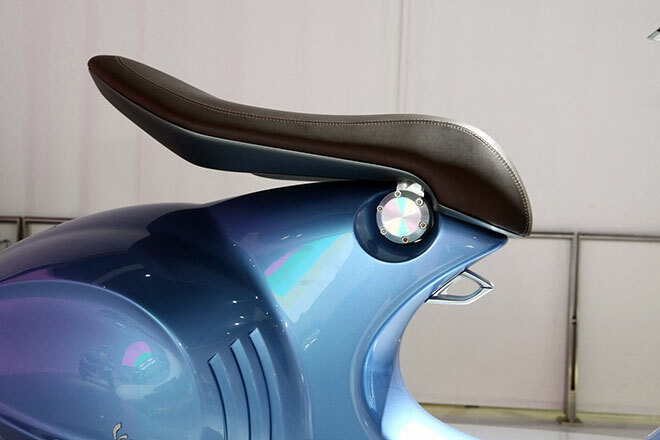 The Vespa Quarantasei (46 in Italian) is a concept inspired by the 1945 MP6 prototype. Times have changed, though, and engine technology has made significant advances in the last 65 years. Although the Quarantasei is a styling concept, its engine is the real deal. The new hyphen-filled motor is an air-cooled, fuel-injected three-valve four-stroke. It’ll be available in two displacements: A 125 cc putting down 11.6 horsepower and 7.6 pound-feet of torque or a 150 cc good for 13 ponies and 9.3 pound-feet. Water pumps and radiators are expensive and scooters are supposed to be cheap. The modern fuel injection system works with a three-way catalytic converter to cut pollution. 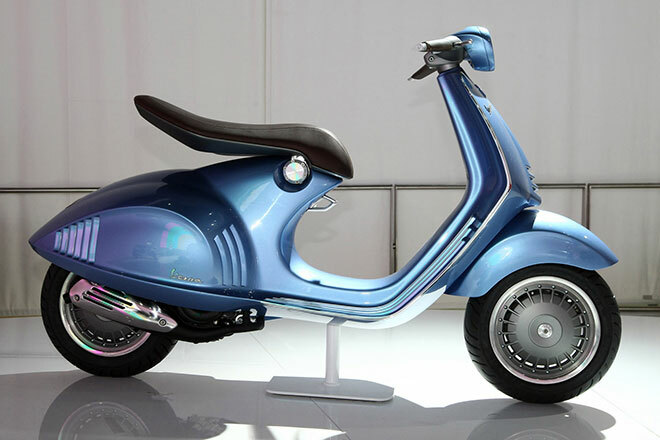 Vespa says it will meet current Euro3 standards and future emissions regulations as well. 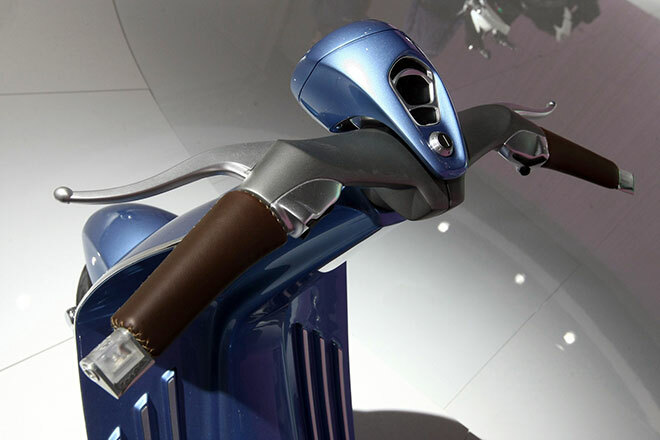 Looking at the shapes and textures of the concept, it’s easy to be reminded of your girlfriend’s Venus razor. That said, the Quarantasei is a beautiful example of minimalist design. The bars are swept clean of anything unnecessary and end in wing-shaped LED turn signals. Ergonomic grips feature hand-stitched leather and brake levers have no visible pivots, cables or hydraulic lines. The hanging seat is similar to last year’s Moto Guzzi concept bikes and looks great hovering over a wasp-like engine cover. Right where you would expect to find a small, traditional headlight is a huge projector. A nearly horizontal LED taillight on the engine cover surrounds what appears to be the gas cap and there’s no license plate mount in sight. Many features (such as the bars and taillight) are obviously concept stuff that won’t make it to production, but we’re excited to see how the rest of the design translates into a production model powered by the new motor.